Daily Illuminator: The Grave Danger Day Of Wreckoning Is Upon Us! February 26, 2019: The Grave Danger Day Of Wreckoning Is Upon Us! Whether you're looking to laugh in the face of danger with cards from Grave Danger, or to pick up some more killer cards, we've got an upcoming event you don't want to miss. 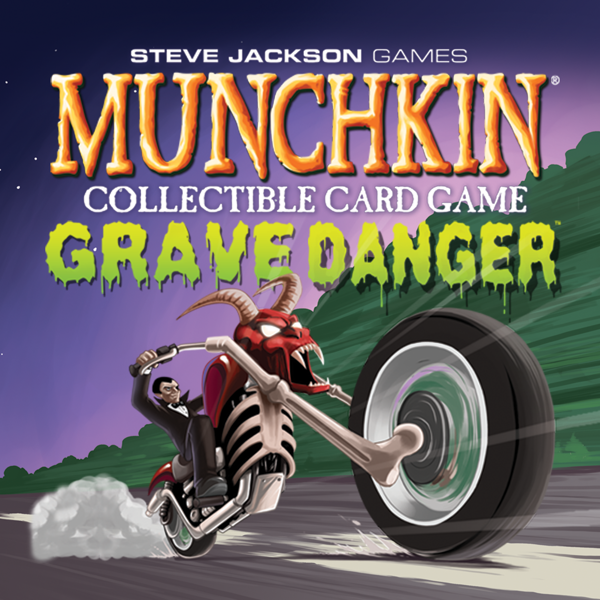 It's time for the Grave Danger Day of Wreckoning, where players can win never-before-seen promo cards and revel in the third expansion for the Munchkin Collectible Card Game. Stores across the U.S. and Canada will host these events on Friday, March 1; Saturday, March 2; and Sunday, March 3. Find a store near you, call them for their specific event date and time, mark your calendar, and prepare to Wreckon. Some stores will run their Day of Wreckoning as a draft or a constructed tournament. Others may run learn-to-play or casual-play events. However you choose to play, we know you've been trading cards and fine-tuning that deck. Now is the time to show off your skills. Let's Wreckon!